Luisa: keep your head up in the sky. walk up right. keep your head up in the sky. walk up right. In the following text I want to give answer to the most essential questions – What? Why? Who? with regards to alternative living. It is not a complete explanation about the topic because it would go beyond the scope of that project and I do not have scientific knowledge about the theme. So it is more the impressions that I got while my stay at Berlin. The places I visited here were: TeePeeLand, Liebig 34, Groni 50, Köpi, Sama 32, Tommy Weisbecker Haus. If you are interested, check them out – most of them got a facebook page. The most important thing first: There is not THAT house project. There are all unique with different kind of organisations and backgrounds. Alternative living is already everything that does not seem familiar to the people. Last week I discovered although that the aims of many projects are similar. For example, many people in alternative living situations have a low income or are convinced that everyone has a right to the city. Money is not the most important value to them, what I find especially sympathic. The right to the city for everyone calls for low rents urgently or –better?? ?- no rents. Squats are a perfect example for that. But how did they come into existance? The story starts with an empty, unused house in a city with a lot of pressure on the local housing market. People, who are mostly politically engaged, occupy the house by moving in and staying there. 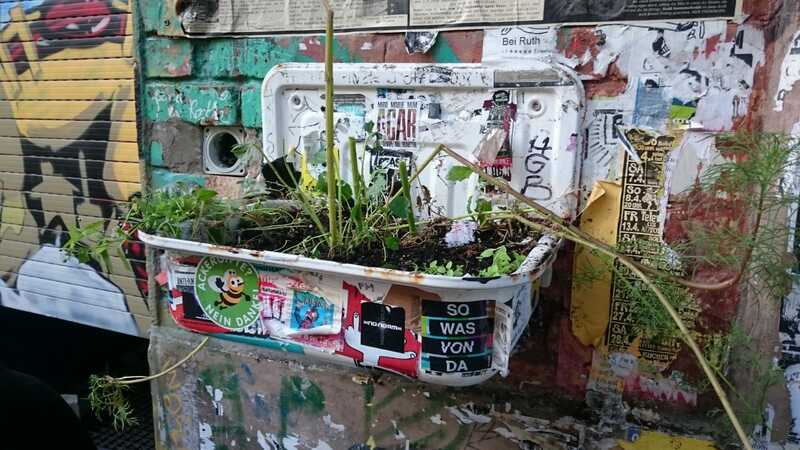 Squatting happened a lot in the 1980s and 1990s in Berlin where many people came to the city and it grew but at the same time buildings were destroyed to get some space for newer and better houses. To protest against the destroying of usable houses people just moved in. 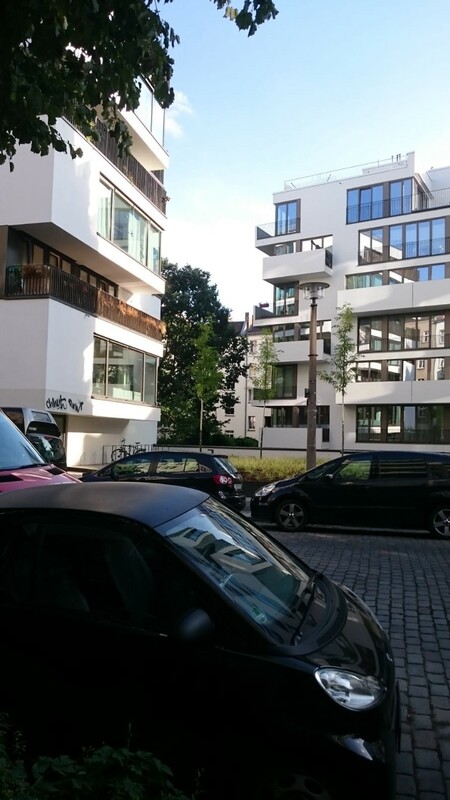 Unfortunately these houses are owned by someone and this is the reason why squatting is illegal. 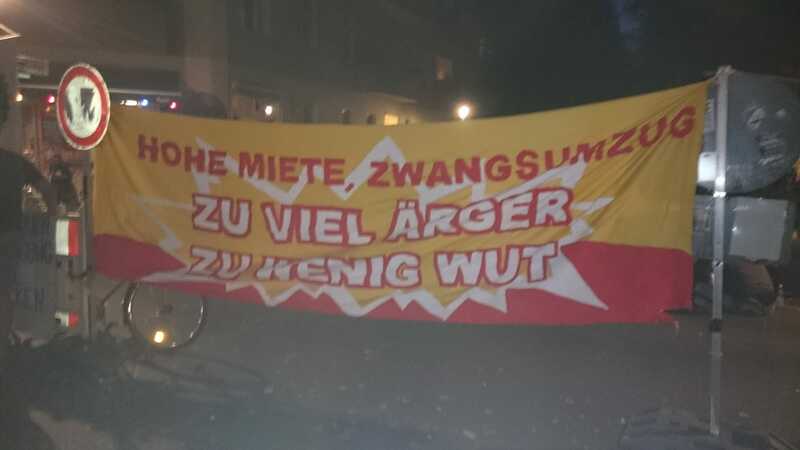 According to the so called Berliner Linie the city let the squatters choose: Either they become legal or they will be taken out by the police within days. Becoming legal means: Making a (rental) contract with the owner. That is not the goal of the squatters because the squatting is a demonstration against the dependence of the landlord – if a rental contract is negotiated in between the two parties there is a hierarchy and dependance again. To me that seems to be a really depressing situation, because the main goal of the squatters can never be reached. Why do I think so? 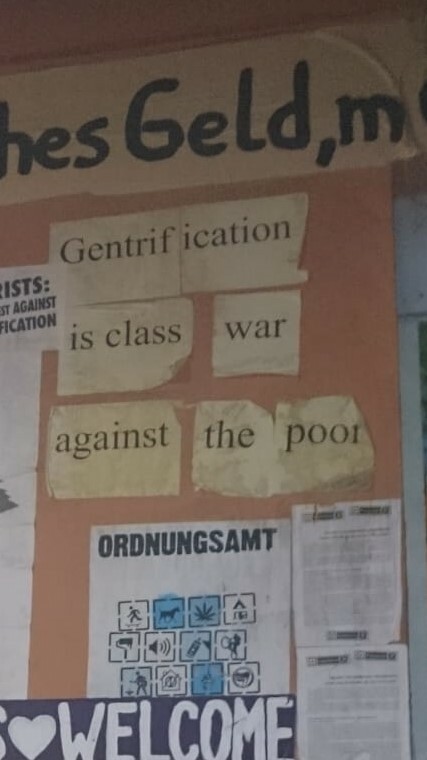 Squatting is a protest against the whole system of power – against people who have randomly enough money to buy whole parts of the city and are because of that in a better situation than people who can not accumulate capital with their income. It is daily reality that people with equal rights have a different access to the city. Is it fair or right that people can own districts while other people can not even afford a single room? I am sure it is not. 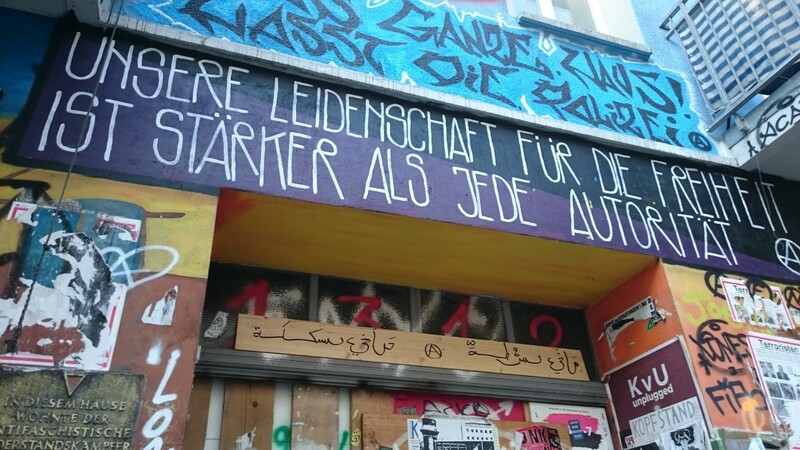 The Berlin Linie (even though squatting in Berlin became rare these days) can not be a solution for future generations and a free, capitalistic housing market can not be the answer either. More and more people from over the world head to Berlin and want to become a part of the hip and urban community. The less liberty you get. Living in big cities is not a revolution for liberté, egalité, fraternité anymore. It is a revolution against gentrification, marginalization and segregation. I have no money, honey! There are no jobs on the countryside anymore. Lets go to Berlin, honey! I finally found a flat in the city. Now I have no money, honey! Lets sit on the Spree and have a beer – We need to talk! Without money, honey – can we really stay here?